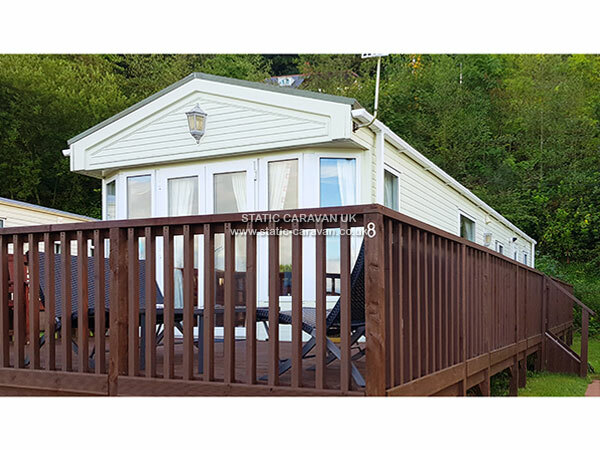 Situated on the exclusive Traeth Gwyn area of Quay West Holiday Park, this is a recently refurbished Pemberton Mystique, a fully equipped 39ft x 12ft three bedroom caravan, double glazed with central heating and decking area. Comprising an en-suite master bedroom (with shower, WC & washbasin) accommodating 32" Smart TV. 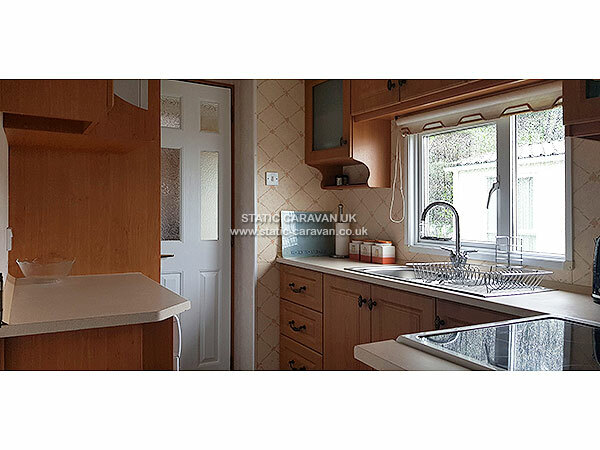 There are two twin bedrooms, a separate bathroom with bath, WC & wash basin, fully equipped kitchen including electric oven with ventilation hood, microwave, toaster, full height fridge & drawer freezer and washing machine. 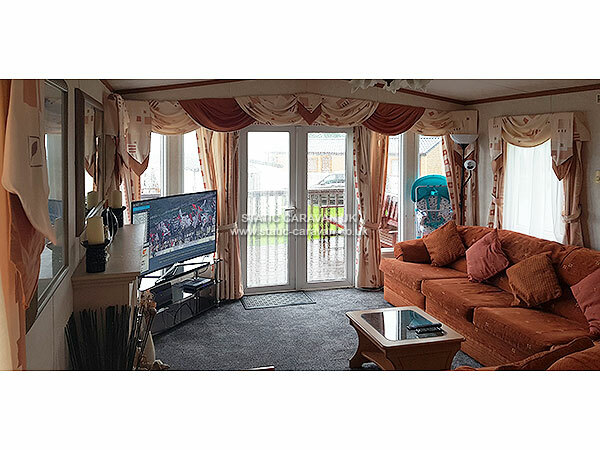 Lounge with 49" Smart TV including BT Entertainment & BT Sport package, integrated dining area and a large comfortable 'L' shaped sofa. 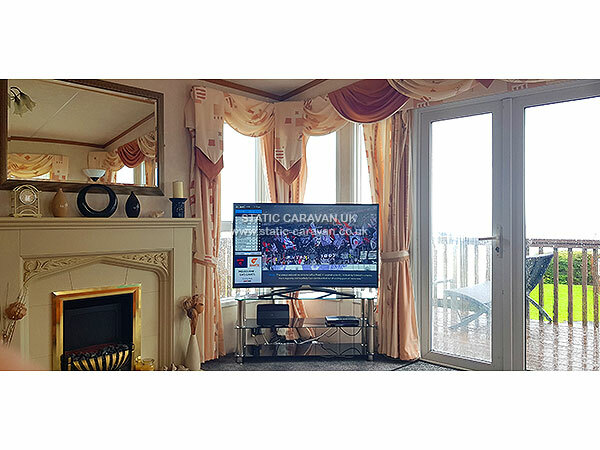 French patio doors to the front of this caravan open out onto a spacious decking area with a magnificent 180° sea view of Cardigan Bay, accommodating dining furniture and providing plentiful opportunity for outdoor relaxation. Park entertainment passes are NOT included (unless stated) within the listed prices, these can be purchased on behalf of guests prior to arrival for an additional flat rate cost for any peak or off peak seasonal week at the rates stated below (March to October). Outside of this period park complex facilities are not available. A provisional booking made via telephone, in person, post or e-mail will remain firm for a period of seven days until which time a £100 deposit must be paid. 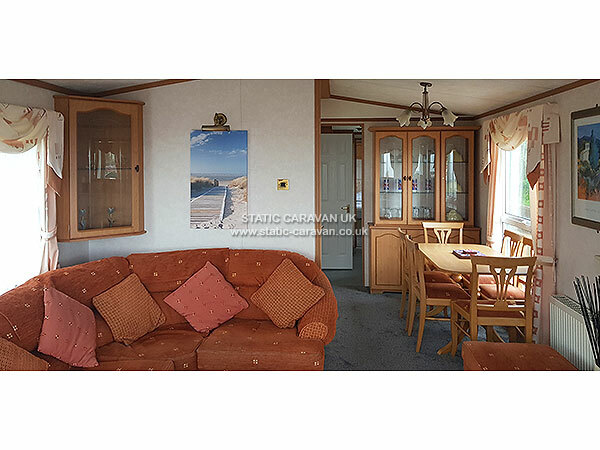 The deposit is non-refundable in the event of cancellation, unless terminated by the caravan owner. Outstanding balance payments must be received no later than 42 days prior to the holiday arrival date. Should a cancellation be made prior to payment of the full balance, only the deposit sum of £100 will be forfeited. If a cancellation is made after the full balance has been paid, 50% of the total hire charge will be payable. If less than 7 days notice of cancellation is received, then the total hire charge will be payable. 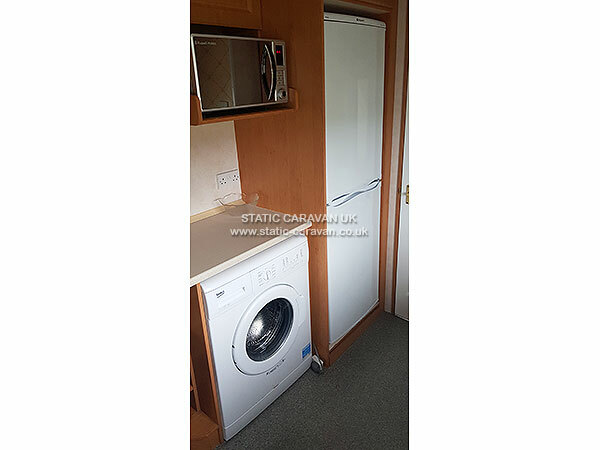 A £50 security deposit will be required in addition to the balance payment and will be refunded within 3-4 days following your departure should the caravan be deemed clean and tidy to an acceptable level and free of damage. You must notify the caravan owner immediately of any damage caused, accidental or otherwise, during the period of your stay. This security deposit remains at the discretion of the owner. 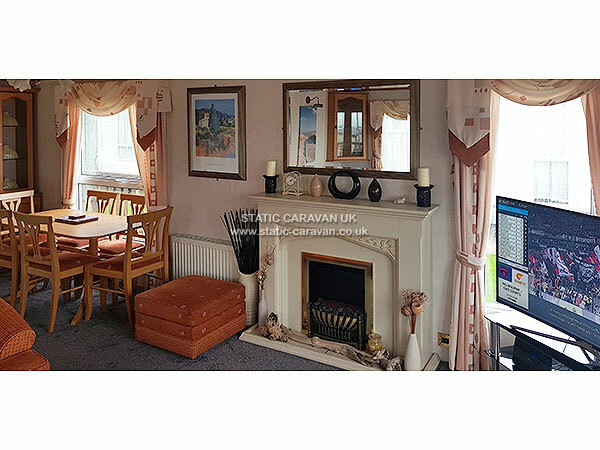 The caravan will be available to the named occupants during the period shown on the confirmation email received from the caravan owner. 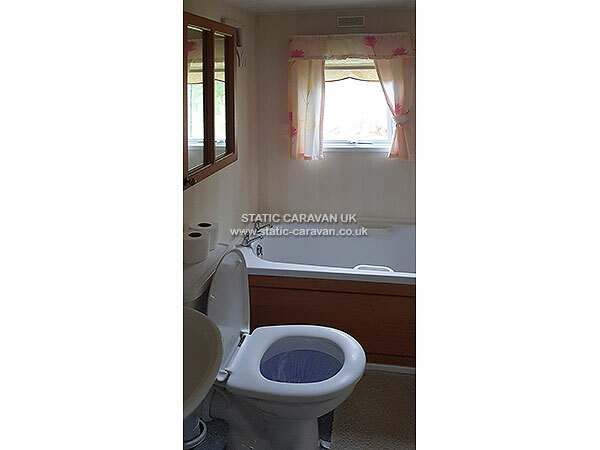 The caravan is 6 berth and at no time must be exceeded. 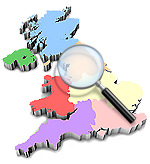 The hirer of the caravan must be 25 or older, however this remains at the discretion of the owner and, dependent on circumstances, the hirer maybe of a younger age, but no younger than 21 years. The hirer must remain present during the occupancy period of the caravan. 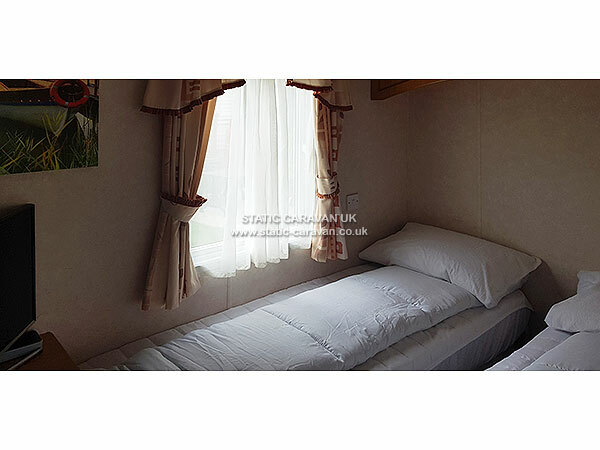 The caravan is only available for rent by families and responsible couples. The park will not allow all male or all female parties. Mixed adult groups under 25 are permitted at the owner's discretion. For hygiene reasons, strictly NO PETS allowed. Strictly NO SMOKING or VAPING inside caravan. Smoking is permitted on the outside decking area. Please discard carefully in the ashtray provided. Clothes lines are not to be erected. A clothes airer is provided. Tents can only be erected on designated tenting fields. They are not allowed between caravans. Park speed limits must not be exceeded. In the event of behaviour likely to cause offence or damage to other users of the facilities, the park management reserve the right to remove any offenders from the park without redress. All persons using the entertainment complex must honour the Quay West club rules. Membership is discretionary and may be withdrawn at any time by the park management. 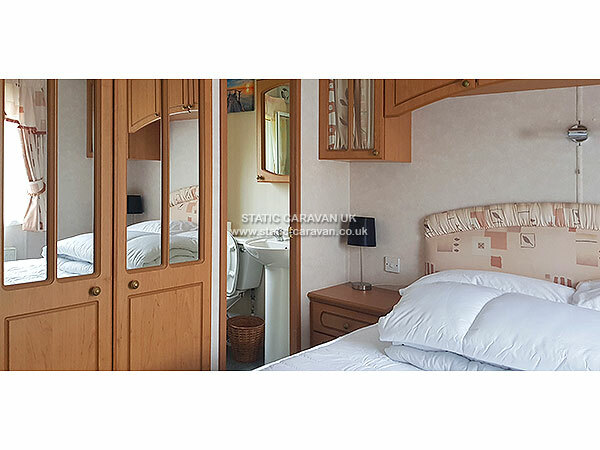 Please keep noise to a minimum and show consideration to other caravan occupants at all times. A key safe is provided for collection and return of keys, the code will be confirmed prior to arrival, please place keys back in safe on departure, failure to do so will result in a deduction from the security deposit paid. Ball games are to be played in designated areas and not between caravans. No motorcycles are allowed on the park without the express written permission of the park manager. 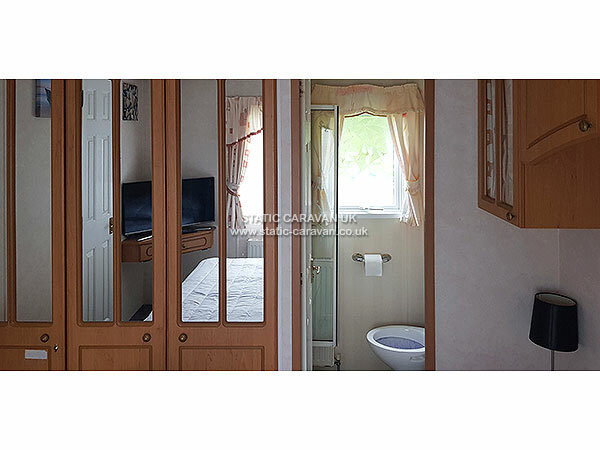 Please remove all dirty footwear on entering the caravan. The use of barbecues is permitted, however, please keep well away from the van & decking area and place on grassed area. Do not disarm smoke or carbon monoxide alarms. Press the hush panel located on the alarms themselves should they be activated during cooking activity. All electrical and domestic goods, including boiler, must be switched off upon leaving the van. Duvets and pillows are provided, however bed sheets, pillow cases, duvet covers and other linen items such as towels, tea towels and wash cloths are not provided. Please do not park cars on grassed areas. Please use the tarmac driveway. Use designated overflow car parks provided by the park if necessary. Personal travel insurance is not included in the cost of your holiday and, if required, remains the responsibility of the occupants. Please take care on the decking area, when wet it can be slippery. 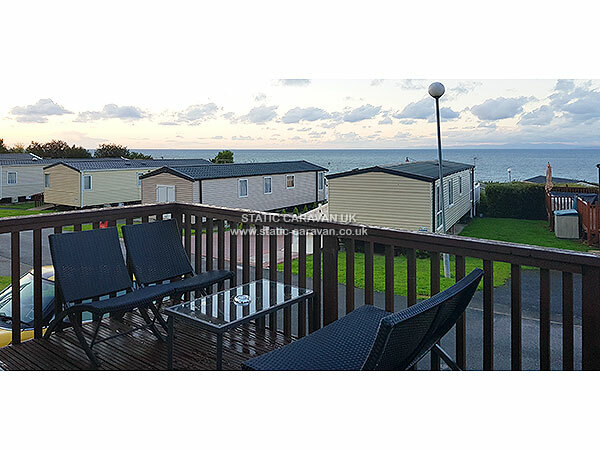 These terms and conditions have been produced by Michael Payne and relate to the private caravan hire of 8 Traeth Gwyn, Quay West Holiday Park, New Quay, Ceredigion, South West Wales, SA45 9SE. The owner reserves the right to amend these terms, conditions and policies without prior notification. On the beautiful West Wales coast, the lovely Quay West Holiday Park is perfect for sea air, sea views and a free and easy holiday. There are fabulous river and woodland walks nearby, and scenic hill trekking to boot. Don’t miss the lovely harbour at New Quay, or an uplifting dolphin boat trip. When you visit South Wales you expect dramatic views, and Quay West Holiday Park certainly won’t disappoint. Follow the magical woodland walk down to the beach and not only will you find some stunning scenery to admire, but if you’re lucky you just might see some wild dolphins playing in the sea! And you’re sure to be playing too – whether it’s in our swimming pools, in the entertainment venue, on the Aerial Adventure course, or while getting involved in one of the many other activities available here. At Quay West, you can start to unwind, relax, and reinvigorate from the moment you arrive.